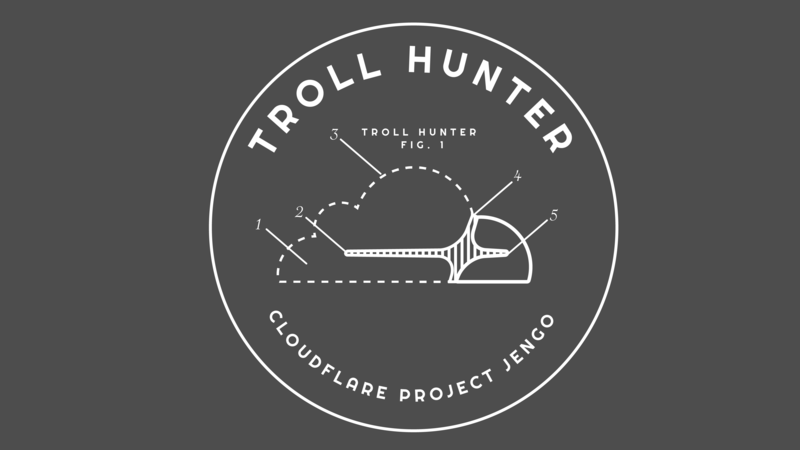 Today marks the one year anniversary of Project Jengo, a crowdsourced search for prior art that Cloudflare created and funded in response to the actions of Blackbird Technologies, a notorious patent troll. Blackbird has filed more than one hundred lawsuits asserting dormant patents without engaging in any innovative or commercial activities of its own. In homage to the typical anniversary cliché, we are taking this opportunity to reflect on the last year and confirm that we’re still going strong. Project Jengo arose from a sense of immense frustration over the way that patent trolls purchase over-broad patents and use aggressive litigation tactics to elicit painful settlements from companies. These trolls know that the system is slanted in their favor, and we wanted to change that. Patent lawsuits take years to reach trial and cost an inordinate sum to defend. Knowing this, trolls just sit back and wait for companies to settle. Instead of perpetuating this cycle, Cloudflare decided to bring the community together and fight back. After Blackbird filed a lawsuit against Cloudflare alleging infringement of a vague and overly-broad patent (‘335 Patent), we launched Project Jengo, which offered a reward to people who submitted prior art that could be used to invalidate any of Blackbird’s patents. Through this program, we wanted to make sure Blackbird couldn’t use any of its patents to attack other innovating companies. So far, the project has been a great success. We’ve received hundreds of prior art submissions from the Project that read across much of Blackbird’s patent portfolio. Today we are releasing the core of the prior art we have collected, reviewed, and organized. In this way, other innovators can benefit from the efforts of Project Jengo. If at any point you are sued by Blackbird, you can go here to find the list of approximately 200 pieces of prior art that apply to 34 Blackbird patents. If you find yourself on the wrong end of a Blackbird patent troll lawsuit asserting one of those patents, this free information may be what you need to defend yourself. So far, our legal arguments against Blackbird’s patents have been very well received by courts and administrative officials. This supports our assertion that patent trolls raise claims of dubious merit and hope that parties will settle with them to avoid the cost of defense. But there’s an update. Blackbird recently appealed the ruling to the United States Court of Appeals for the Federal Circuit, a special federal court that hears all appeals related to patents. Currently, the parties are submitting briefs to the court and expect to participate in a hearing on the issue in December. Cloudflare will continue our fight to show that Blackbird’s ‘335 Patent is a non-patentable abstract idea and its lawsuit is meritless. In addition, there have been updates from the U.S. Supreme Court that relate to our fight. In April, the Supreme Court decided the Oil States case maintaining the constitutionality of the inter partes review (IPR) process. As we have previously discussed, the IPR process is an administrative method for invalidating a patent outside of litigation, by going back to the Patent Office and petitioning them to review the validity of the patent based on the invention’s novelty or obviousness. To keep the pressure on Blackbird, Cloudflare filed an IPR related to the ‘335 Patent. The Patent Trial and Appeal Board (PTAB) will likely decide whether to grant the petition by October 2018 and, if granted, a hearing about invalidating the ‘335 Patent would be scheduled for approximately a year later. The legal and administrative challenges to the validity of the ‘335 Patent will proceed in parallel; they present slightly different goals but seek the same outcome — to invalidate a bad patent. Project Jengo strikes its first target: We wrote previously about Project Jengo’s intention to challenge other clearly invalid patents in the Blackbird portfolio before they could be used to victimize other innovative companies. The first target of Project Jengo apart from the patent asserted against Cloudflare was U.S. Patent 7,797,448 (“GPS-internet Linkage”). This patent described an “integrated system comprising the Global Positioning System and the Internet wherein the integrated system can identify the precise geographic location of both sender and receiver communicating computer terminals.” This broadly-worded patent could potentially be used to sue a massive number of technology products that involve GPS or other location technology. In July 2016, Blackbird sued and settled with six companies under a lawsuit relying on the ‘448 Patent. Even though Blackbird had not sued Cloudflare under this patent, and it seemed an unlikely threat to us directly, we made it a target of Project Jengo because we thought this patent was terrible and posed a unique threat to others in the tech industry. That’s the spirit and larger mission that brought so many of you to this effort. We have good news to report on this front as well. Based on the strength of the prior art we received through Project Jengo and the number of times Blackbird had used the ‘448 Patent to elicit a settlement, we filed for an ex parte reexamination (EPR) of the ‘448 Patent by the US Patent and Trademark Office (“USPTO”). The EPR is another–less formal–administrative proceeding that can be used to challenge obviously deficient patents. In March, the USPTO issued a Non-Final Office Action that proposed rejecting the ‘448 Patent, noting, “the ‘448 Patent does not have support for the new or amended claims.” In rejecting the ‘448 claims, USPTO relied heavily on prior art submitted by the Project Jengo community. In response to the Non-FInal Office Action, Cloudflare supplied additional briefs for the USPTO to consider. After considering those briefs, the USPTO will decide whether or not to change its initial conclusions and issue a final order. And we’re not done. As we’ve said from the beginning, our goal in this effort is to collect prior art on all of Blackbird’s patents. The window is still open. You’re welcome to submit additional prior art that will be considered for the bounty awards, added to the arsenal, and most importantly, earn you a nifty Project Jengo t-shirt. We’ve awarded more than $7,500 to participants so far and plan to distribute more than $40,000 more before Project Jengo is done. If you would like to join Project Jengo, please submit any prior art you think will be relevant here and stay tuned for more awards and updates. Finally, Matthew wouldn’t let us post another Jengo update without including a public appeal to our friends at Raytheon. You see, Raytheon, a company holding thousands of patents and headquartered in Massachusetts, bought a company called Blackbird Technologies in 2014and still owns the trademark. When Blackbird Technologies, a notorious patent troll holding hundreds of patents and also based in Massachusetts, sued Cloudflare last year, we were briefly confused whether there was a connection … there isn’t. So we’re looking for a senior executive at Raytheon with a sense of humor or a protective Raytheon lawyer without one that would be willing to give us a license to the trademark they hold for Blackbird Techologies® for a very limited and particular use. We’d suggest a fee of “$1 and other good and valuable consideration,” the same amount the patent troll claims they paid for the patent they used as the basis for their lawsuit against Cloudflare. And this shouldn’t even need to engage the sense of humor over at Raytheon, we definitely think the attorneys on their IP team should be concerned that a company in their own backyard is infringing on and disparaging the name of one of their brands. This is especially the case since the patent troll holds a number of broad patents on things like determining travel time, utilizing GPS data, and dealing with electronic equipment, that could be understood as overlapping with Raytheon’s business. It’s a lawsuit with much more legal merit and actual injury than the overwhelming number of cases brought by Blackbird Technologies, the patent troll.